Hidden in one of the busiest districts in Bangkok, Masato is an exclusive traditional sushi bar with a tweak of quirkiness, served only omakase.With artistic skills that enriched from an experience of more than 20 years surrounding sushi in Tokyo and New York, like a performance, our chef Masato Shimizu carefully executes the finest ingredients into an extraordinary work of art in front customers. He explains, "for me omakase is an ultimate experience. It's not only about eating delicious food but also having pleasure through a friendly service, conversation, and atmosphere." Thus, from this intention, Sushi Masato is created to serve the customer with an elegant, yet, warm and intimate dining experience. Chef Masato Shimizu's journey through sushi began in his home country, Japan, at the age of five when he saw his uncle filleted a whole tuna in front of him. His interest in the art of sushi eventually inspired him to move to Tokyo to carry out a seven-year apprenticeship at Sukeroku under a direction of sushi master Kugou Rikio. Masato then decided to take on a new challenge by moving to New York City. For four years, he worked as head chef at Jewel Bako and, by the age of 29, was the youngest chef who had been honored with a Michelin star in New York City. In 2006, he left Jewel Bako to partner up with Marco Moreira to open 15 East Restaurant. 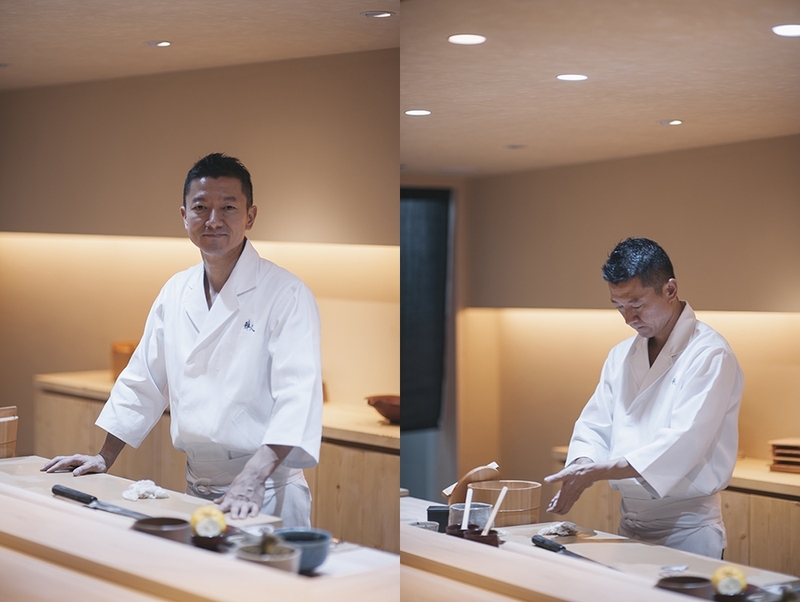 During his time, Masato had again earned the restaurant reputation, as 15 East was awarded one Michelin Star. With a high level of skill and impressive pedigree, he was named a 2007 New York Rising Star Chef by StarChefs.com. After marrying his wife, who is Thai-Japanese, Masato moved to Bangkok and opened his own restaurant, Sushi Masato, where he takes care of every single detail from lights in a room to the food on a plate to ensure that his customers gain the absolute best dining experience.